Some game console machines like PS, PSP or Xbox are also can be used to play videos. However, if you want to use these console machines to play videos, your videos need to be converted to the format which is compatible with those console machines. New generation of Xbox is also released recently. Even though, some restrictions are not convenient for some users, it’s really a great tool for you to play games and share with your friends and family. The Xbox One gives you the power to switch from game to TV show, to the Web, to a movie, to Skype, easily and smoothly (without switching inputs), with just the sound of your voice. 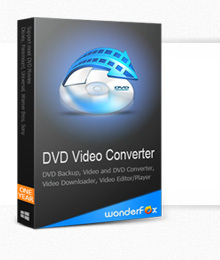 And, when you want to enjoy movies via Xbox, WonderFox DVD Video Converter can help you. Follow the steps below. It works also on Zune. Get license code immediately and enjoy our best service or get your money back.